The tribute was created on the Spotter Network, a website used by storm chasers to report and track tornadoes and storms in the United States. The network helps storm chasers and meteorologists coordinate and better prepare for severe weather. 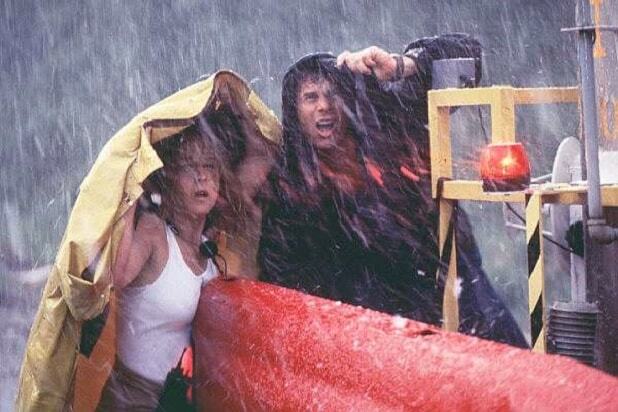 In ‘Twister,” Paxton played Bill “The Extreme” Harding, a former storm chaser turned weather reporter who finds himself dragged back into his old life by his ex-wife, Jo (Helen Hunt), who is still chasing storms due to the trauma of losing her father in a tornado when she was a child. The storm chasers used the system to spell out Paxton’s initials with dots signifying storms. The initials were centered around the town of Wakita, OK, where “Twister” was set. Though it was too late to include Paxton in the “In Memoriam” section of last night’s Academy Awards, Jennifer Aniston acknowledged his passing while introducing the montage of recently deceased filmmakers. Other stars, including Paxton’s longtime collaborator James Cameron, have paid tribute to Paxton on social media. He was 61. Bill Paxton, action star and one of James Cameron's regular collaborators, died Saturday at age 61. He was one of the big action stars of the '80s and '90s and continued to take on gun-toting roles right up to his death. These are the roles he will be most remembered for. One of Paxton's earliest appearances was as a spiky-haired punk in "Terminator" who ended up being one of the first on Arnold Schwarzenegger's kill list. This appearance started a long relationship between Paxton and director James Cameron. The following year, Paxton had another bit role in a Schwarzenegger action film, playing a military air traffic controller in "Commando." Picking on the nerds of John Hughes' comedy, Paxton plays older brother Chet. He gets his comeuppance when stars Anthony Michael Hall and Ilan Mitchell-Smith's science-made woman Lisa transforms him into a giant turd. It was in 1986 that Paxton got his big break in James Cameron's "Aliens." In his Saturn Award-winning performance as Private Hudson, he immortalized himself in sci-fi history with the famous cry of "Game over, man! Game over!" Paxton rejoined "Aliens" alumni Jenette Goldstein and Lance Henriksen in Kathryn Bigelow's bloody, Western-inspired vampire horror movie. Paxton kills as a member of the depraved undead family, having a great time being extremely evil. 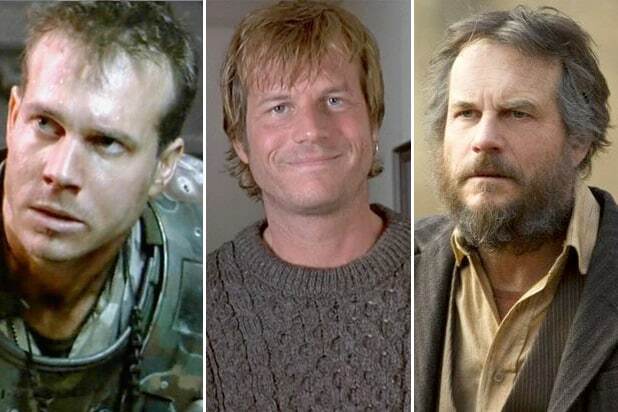 In 1990, Paxton played a soldier with some backbone, namely elite sniper Floyd Dane in "Navy Seals." He also rejoined "Aliens" co-star Michael Biehn to take down bad guys as part of a military unit. That same year, he also appeared in "Predator 2" as a fresh-faced, dirty-talking LAPD detective. Getting bravely sliced up by the creature made him the only person in movie history to be killed off by a Terminator, Alien and Predator. In 1993, Paxton expanded to Westerns. He starred alongside Kurt Russell as Morgan Earp, one of Wyatt Earp's two lawman brothers (the other was Sam Elliott) in "Tombstone." As is often the case for Paxton's roles, Morgan died tragically before the end of the movie. A year later, Paxton reunited with Cameron for "True Lies," where he played a lying seducer who, like his character in "Terminator," draws the wrath of Arnold Schwarzenegger. In 1995, Paxton's career hit its peak starting with a role in his first Best Picture-nominated film, "Apollo 13." He played lunar module pilot Fred Haise on the infamous mission that went horribly wrong. Paxton starred in the 1996 box office hit "Twister," joining Helen Hunt as storm chasers who are faced with the most powerful and destructive tornado the world has ever seen. Paxton teamed back up with Cameron, starring in the legendary "Titanic" as Brock Lovett, the leader of the submarine team that finds Jack's sketches of Rose within the Titanic's sunken ruins. That leads the elderly Rose (Gloria Stuart) to return to the underwater wreck to tell Lovett's team of her doomed romance aboard the famous ship. Though he didn't have an abundance of directing credits, the most interesting is definitely horror movie "Frailty." Paxton also starred as a religious man who thinks he's touched by God to kill demons only he can see, and who brings his young sons in on the job. Slasher comedy "Club Dread," created by the Broken Lizard comedy troupe behind "Super Troopers," saw Paxton play the stoner musician and owner of its tropical resort, Coconut Pete. HBO's influential drama "Big Love" found Paxton as a fundamentalist Mormon who has three wives. The acclaimed series netted him three Golden Globe nominations for the role. The History miniseries depicted the famous feud, with Paxton leading the McCoys as Randall McCoy. He starred alongside Kevin Costner, who won a Golden Globe for his role. The alien-invasion action movie gave Paxton a chance to use his Southern accent. He repeatedly busts Tom Cruise as a Kentucky sergeant who takes no crap from anyone. As a freelance camera man chasing ambulances in Los Angeles, Paxton runs afoul of Jake Gyllenhaal as a rival who'll do anything to get ahead. Once again a bad guy, Paxton took on the S.H.I.E.L.D. team as Hydra double-agent John Garrett. He wound up being the primary villain for the show's first season, then gets himself vaporized. A Texas native himself, Paxton played one of its most famous sons in History Channel's miniseries "Texas Rising." The series covered the Battle of the Alamo and the creation of the Texas Rangers, with Paxton playing Sam Houston.